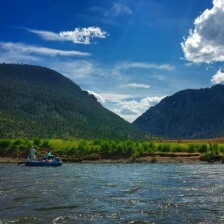 When it comes to the stocking of Rainbow Trout in Colorado rivers keep this in mind. They spawn all the time, spring, winter, fall, and summer. Let this be my first gripe with the stocking programs of Colorado. 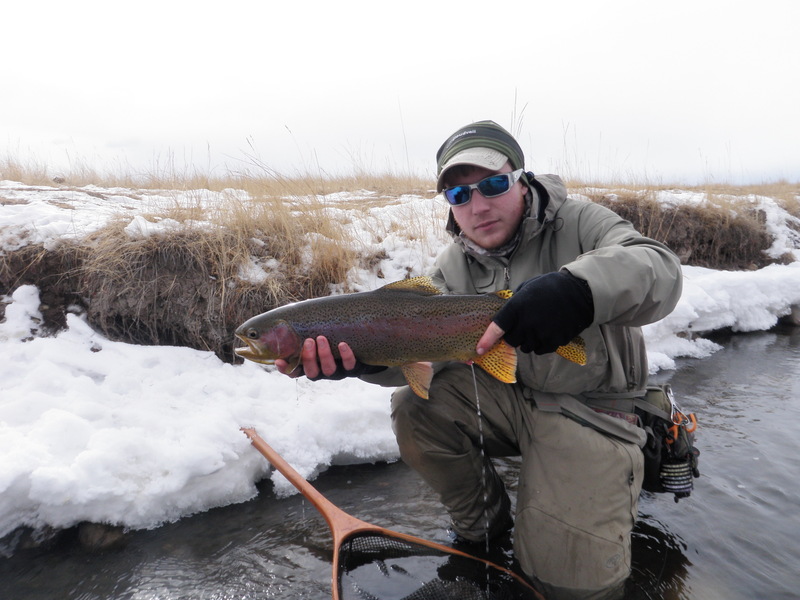 While many people enjoy their 8” rainbow’s in Clear Creek I find them repulsive. Nothing is more ugly than a hatchery raised, pellet fed, square faced Rainbow. Oh…here is a spawner from this weekend. You are quite the biologist there buddy. The fish should not be spawning all year, that is not not natural, but does happen. And if you are such a fish expert, why would let all those eggs go to waste for a few pics with that fish. Note this: Only about 3% of the eggs laid by a trout are successful. You taking so much pride in letting all those eggs go to waste lowered that number. Great work Mr Stud Biologist! I’m sure you probably snagged that fish in the fin, off his bed, with a barbed treble hook too.